The use of pesticides can lead to a build-up of toxic and ecologically harmful residues in the soil. Until recently, it was not possible to ascertain in detail to which pesticides this applies and to what extent. Now, researchers from the Helmholtz Centre for Environmental Research (UFZ), working in partnership with colleagues from the Technical University of Denmark (DTU), have developed a model which allows the formation of potentially toxic residues to be more accurately predicted. The model could be used for future hazard assessment in the pesticide approval process of the European Chemicals Agency (ECHA). The study appears in the current edition of Environmental Science and Technology. As pesticides break down, substances known as nonextractable residues (NER) build up in the soil. Bound to soil particles, these may consist of harmless bacterial biomass (biogenic residues), the pesticide itself, or transformation products that have a toxic effect and represent an environmental concern (toxic residues). The proportion of toxicologically relevant residues varies from one pesticide to another, and previous methods did not allow this to be determined. "But it's important to know this to make the hazard assessment as realistic as possible," says Prof. Matthias Kästner, an environmental biotechnologist at UFZ. Working with colleagues from the Technical University of Denmark, UFZ researchers have now developed a model with which they can initially calculate the amount of biogenic residues that can be formed by bacterial degradation processes. When the modelled biogenic residues are then subtracted from the total amount of nonextractable residues (NER) – which is measured for all pesticides in the approval process – the result is the proportion of toxicologically relevant residues. "These are the residues that really matter," Kästner says. "They often can't be degraded any further by microorganisms, so they can be toxic and harmful to the soil." The model is based on an analysis of the chemical structure of the respective pesticide, which is examined in detail to determine whether it can be utilised by bacteria. "Because microorganisms can in principle feed on anything that gives them energy, even pollutants like pesticides can provide them with a food source," explains Kästner. "The chemical bonding and energy properties of a substance determine how easy the bacteria can break it down and how much energy they can extract from it." The researchers used the results of the analysis to calculate the amount of microbial biomass that can potentially be produced from the degradation of the pesticide, and which remains in the soil in the form of harmless biogenic residues. 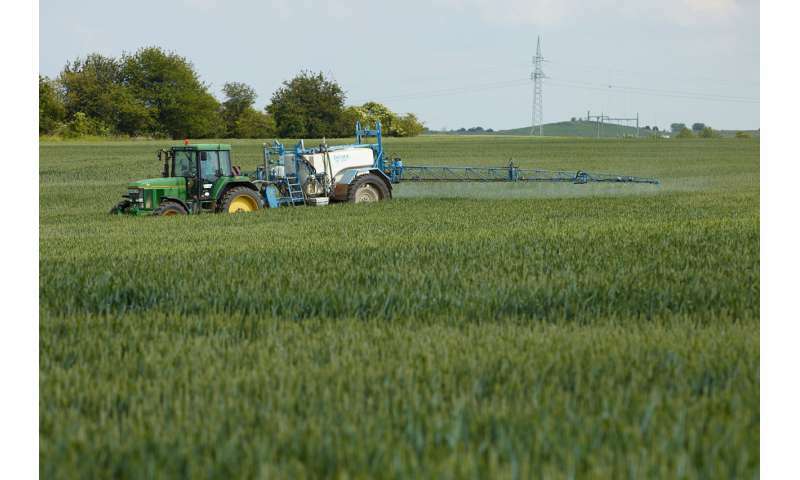 For the study, the scientists modelled the biogenic residues of 40 different pesticides and compared them with measured values from soil tests carried out as part of the chemical approval process, in which the amounts of biogenic residues from these pesticides were determined. "It was very satisfying to see that our model calculations largely correlate with the actual measured values," Kästner says. "This means that, based on the molecular properties, we can now assess in advance which pesticides are potentially biodegradable and what the likely amount of toxic residues is. There will no longer be need for time-consuming tests series." The researchers anticipate that the new model will improve the future hazard assessment of pesticides. There is a good chance that it will be used in the approval process of the European Chemicals Agency (ECHA).